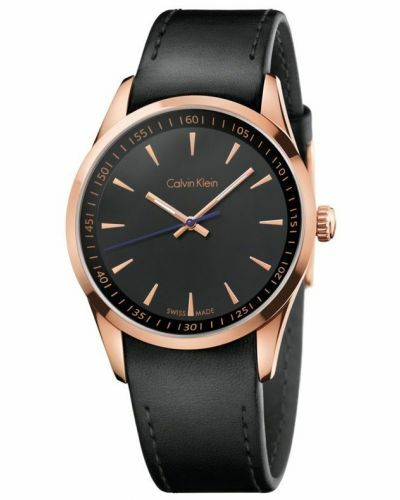 A minimal Swiss made men's classic watch on a high quality black leather strap. 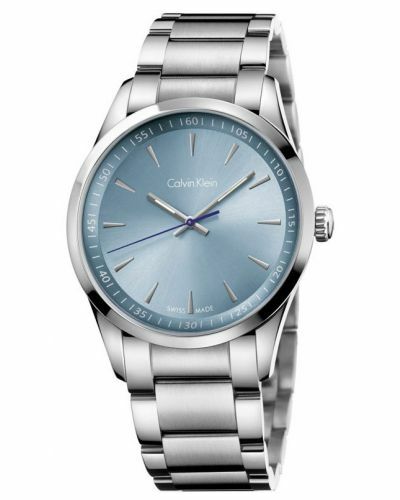 The black dial is embelished with steel polished clean hour markers and a blue second hand. The case is all polished high grade stainless steel. 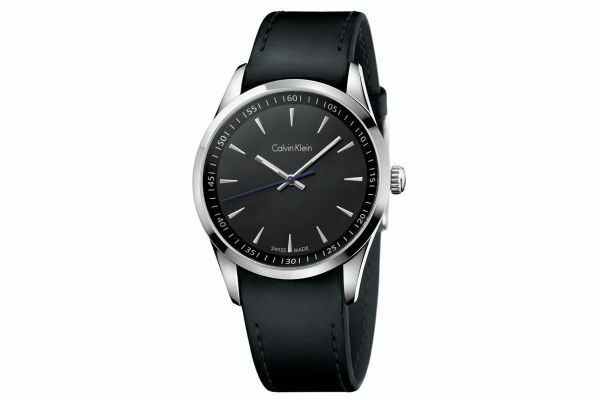 For us to size your new Calvin Klein BOLD watch as accurately as possible, please take a look at our downloadable Watch Sizing Guide.